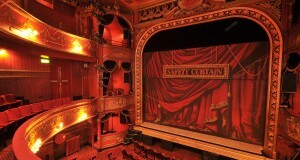 The show opened at London’s Lyric Theatre in January 2009, just a few months before Michael Jackson’s death, and has stayed put ever since. It had already broken the Lyric Theatre’s record for longest running production when, earlier this month it played its 3358th performance and so broke the record of Jesus Christ Superstar to become the 15th longest-running musical in the West End. That doesn’t sound so very remarkable until you consider some of the shows in the top 14: Cats; Starlight Express; Miss Saigon; The Phantom of the Opera. 30 year old juggernauts compared with this spritely young pretender. 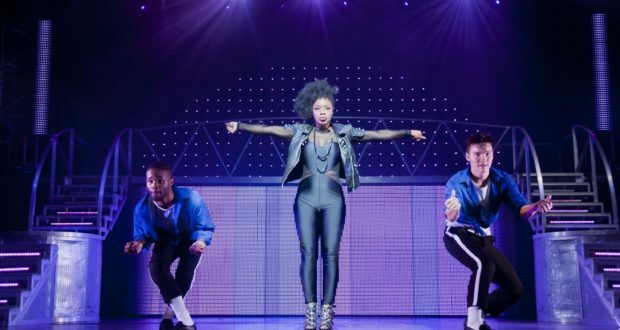 It’s not hard to see the show’s long-standing appeal: fantastic songs, exuberant dancing and a simplicity that means it speaks to all ages, all cultures and all levels of brow. Whilst some of the narrative bridges are clunky or even superfluous, the secret of the show’s success probably lies in that very straightforwardness; it doesn’t attempt to spin a spurious story or gild the lily of Jackson’s songs. And at a time when diverse casting is such a hot potato, it’s refreshing to see a popular mainstream show that embraces diversity so unassumingly; Michael is represented variously by black men, an Asian man and a black woman – all to splendid effect! 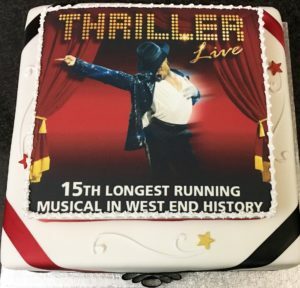 While it still has a long way to go to to rival Les Mis, Thriller Live has just extended its London booking again, until 1 April 2018. So at this rate who knows…it may yet Beat It!